So, I finally cracked the case of Kinder Surprises Kat got me… about 5 years ago. No, I’m not going to eat the chocolate (it looks kinda nasty), but here’s the first Surprise I got. 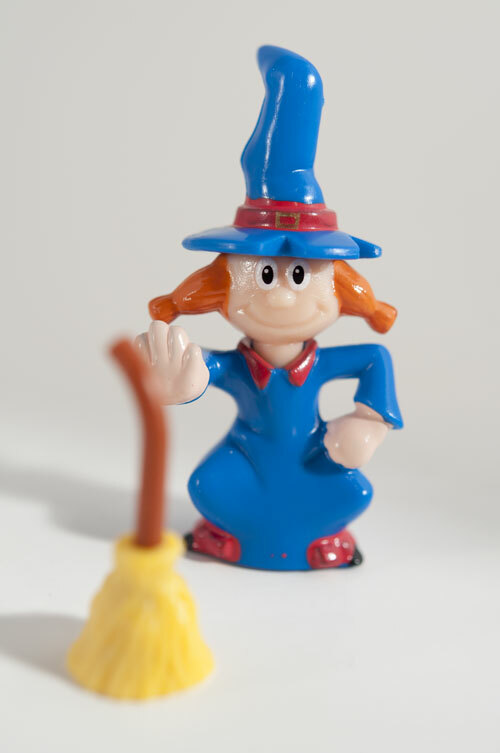 It’s one of the featured toys on the box (some kind of magic club) – a witch. She has a magnet in the bottom of her, and there’s a magnet in the bottom of the broom so she can magically push the broom away from her. Kinda neat!